Sarah Ockler is a Young Adult contemporary author that I feel more people should be aware of. This is my third book I've read by her, giving it another 5-stars, as I did with The Book of Broken Hearts and Fixing Delilah. I'm amazed that this woman doesn't receive the same buzz as other well-known YA contemp writers such as Sarah Dessen and Stephanie Perkins. If I've ever influenced your reading choices, I truly hope this is one author who makes it into your hands, sooner rather than later. Anna, Frankie, and Frankie's older brother Matt, have been childhood best friends for as long as they can remember. On Anna's fifteenth birthday, all her wishes come true, when Matt kisses her over the kitchen sink just after an epic cake fight sent them inside to clean up their mess. Anna's childhood crush blossoms into a secret affair with Matt, who claims he'll tell his sister about them when the time is right. In the meantime, their secret kisses and silent nights spent in each other's arms star gazing in the backyard, creates a swell in Anna's heart that she never knew existed. Before Matt has the chance to talk to Frankie, the unthinkable happens. Matt dies. Both Anna and Frankie's world completely stop. The grief of losing someone so close to their hearts, but in completely different ways, consumes their lives. Frankie drifts away, only to come back as this girl who's put on a mask of make-up and hair, to disguise the hurt she feels by experimenting with different boys. Anna watches from the sidelines, keeping her secret safe, but also grieving a loss all on her own. A year passes and Frankie's family make their annual summer vacation to Zanzibar Bay, California, to stay at the beach house they've spent countless summers before. But this time, they're missing Matt and instead bringing Anna along. The girls set out to make this the best summer of their lives, placing another layer on top of the grief they refuse to acknowledge, yet continues to swallow them little by little each day. In an attempt to create the best summer, they (more so Frankie, but Anna agrees to make her best friend happy) devise a plan to attract the attention of twenty boys. What begins as something second nature to Frankie, and oh so foreign to Anna, quickly escalates into a series of moments, all culminating back to where the grief still lies. My heart went out to Anna, as I witnessed her attempt at burying the secret she promised Matt, yet trying to move on with her life at the same time. Her struggles tugged on my emotions, so many times. The way Ockler told the story about the two girls' friendship, felt so authentic and raw. One minute they were goofing off in the dressing room, trying on swim suits for their trip. Then several chapters later, they're standing at the ocean's shoreline, screaming out their heartache to a sea of grief and turmoil. The character growth that Anna endures from the beginning of the novel, to the end, really stood out for me as a reader. It was a journey I was happy to be witness of, even during the moments that caused me to reflect on my own personal grief and the experiences I am familiar with. I found myself stopping to re-read sentences, paragraphs, pages just so the words and emotions had time to sink in and pull me under. I took my time with this read, not because it was difficult to finish, but because I didn't want it to end. 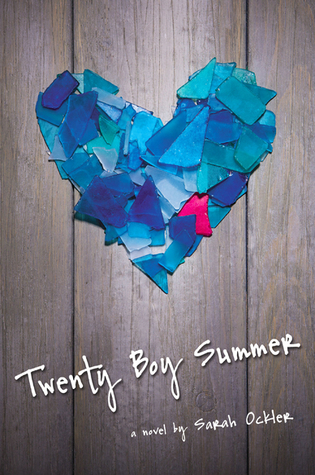 TWENTY BOY SUMMER is so much more than just a story about two girls and how they spent their summer at the beach. 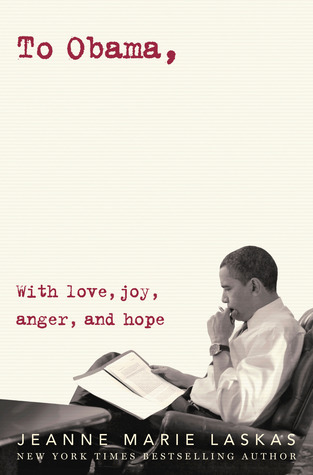 It digs deep with emotion, balancing the act of grief and forgiveness, all while presenting a glimmer of hope. I'm grateful for this reading experience and will definitely be urging more to discover the beauty of Sarah Ockler and the talents she's bestowed on Young Adult literature. Oh wow...this book sounds like it is perfect! I LOVED The Book of Broken Hearts, so there is no doubt I would love this one too. Better pick it up soon...thanks for such a great review! The love you have for this book makes me ridiculously happy! It is one of my all time favorites. I love the narrative and the characters and the message. I really, really want to read Twenty Boy Summer! I read and loved The Book of Broken Hearts last year, so I definitely want to get around to reading this one. It sounds like a very moving tale, and I love that it's about two best friends dealing with grief and how to move on from that. Definitely got to get this soon!